Our annual golf day is taking place on Wednesday 28 June. It is being held at the salubrious Kingswood Golf & Country club in Surrey and we would love to attract as many faces from across the travel industry as possible. As in previous years it is being organised with headline partners TravelMole and Citybond Suretravel. Graham is helping us to recruit and Steve will be taking photographs on the day. The day will include breakfast, 18 holes of golf on a beautiful course and a three course dinner with a prize giving to round the day off. 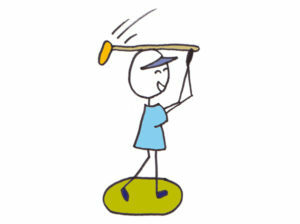 We really need your help with selling more teams and finding the keen golfers in the travel industry! We would love for you to spread the word and put us in contact with anyone you think would be interested. Find out more here. We are running Seaside Walk for its third year from Saturday 22nd July – Sunday 30th July. 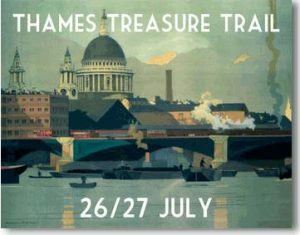 As part of the week we are hosting two Thames Treasure Trail evenings in London on Wednesday 26th and Thursday 27th July after working hours. Starting at a central London location walkers will be given clues and questions that will take them on a trail across the Thames. Each question leads to the next location and thus the next clue until you reach the finish line and prize-giving at a central London pub. The quickest team to compete the quiz will win the treasure! Have a look at last year’s quiz here. Debbie has spread the word and has got three teams from Elman Wall signed up and both Alison and Sir Tony have asked to book teams. We would love for you to sign up a team and encourage others in your office to do the same! A really great way to increase our visibility in the industry and also raise money is to be the official charity of an event. Giles recently introduced us to the association CLIA; we had an extremely positive meeting with them and are in the midst of planning how we can best work with them over the coming year. In the past, Roger has always put us forward for the British Travel Awards. These partnerships are extremely valuable to us, so if you are involved with any associations or organisations who you could introduce us to it would be brilliant.